Back in January 2011, I wrote a blog about the browser wars, and particularly the fact that although Firefox had overtaken IE as Europe’s most popular browser, they had both lost market share to Chrome, which was rapidly catching them up. 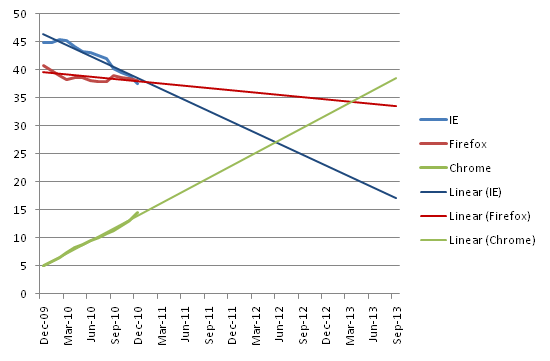 With a bit of Excel magic, I predicted that Chrome would overtake IE in mid-2012 and Firefox in early 2013. Find out what happened after the jump. I wonder to what extent mobile browsing is influencing these results. 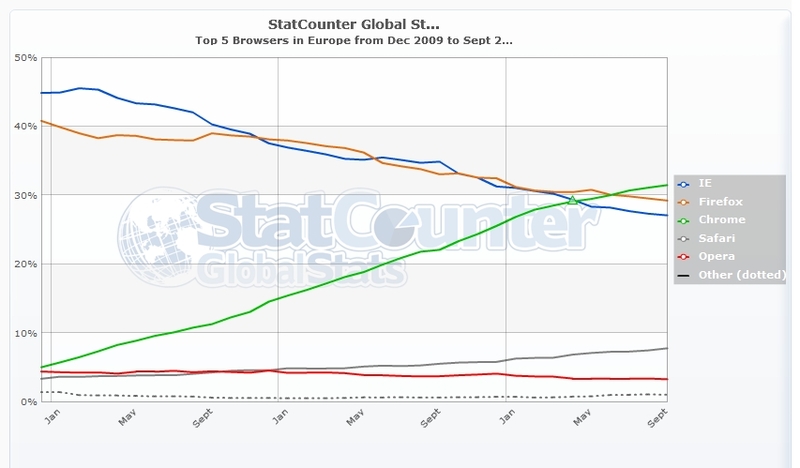 The only other browser which has a growing market share is Safari, which powers iPhones and iPads. I’ll check in in another 18 months and see what has happened.